2D SpriteSheets in 3D World. The shader effects look cool too, I like the motion blur a lot. I'm curious about something, so let's say your game is 320 pixels wide and stencyl is scaling it up 2x. Are the 3D graphics drawn at a 640 pixel resolution? or is it still drawn at 320 but each pixel becomes two pixels wide? The game is made in 480x320. The Buttons are 'regular stencyl' actors and imported at 4x. Scale to fit LetterBox . In the 3D Extension I never use SCALE setting. The only part where I scale is in the binding of the meshes to Stencyl Actors/Tiles. 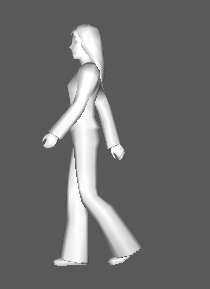 I use the method: 1 pixel in Stencyl = 1 unit in Away3D. 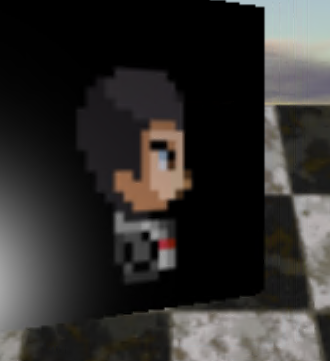 So if an actor is 32x32 pixels I set the scale to 32 height and 32 width. I position the camera to align the 2D objects with the 3D objects. The example I'm showing doesn't use actor binding and the floor is 1000 units by 1000 units. On the Galaxy S2 (480x800 pixels) it roughly 'occupies' the same amount of room/space as on the other devices. Is this the answer you are looking for? Do you have a specific example you want me to test?! I'm not familiar enough with Blender to know what this means... .02 of 1 metre = 20 cm = 1 unit?!? But how many pixels is that?! I assume that if I have a cube and I position the camera so that it overlaps a Stencyl actor that has 32 pixels on the device then the scaled cube will be using the same number of pixels?! Or is that a dumb idea?! If you want to have the .apk file to test on an android device you have, please let me know, and I send you the current apk file. I noticed some errors in some parts of the demo application so I need to investigate that! I'm almost certain you answered my question and that I understand. I made a picture anyway. So if you go into fullscreen on desktop it'll look more like "B", correct? Ah, I see now. Thanks for the example. done on the lines/shapes so that the edges look smooth. This can be altered with filters/methods. And there is the Spritesheet/Bitmap approach. This allows 2d spritesheets/bitmaps to be used as a kind of skin on top of those 3D objects. 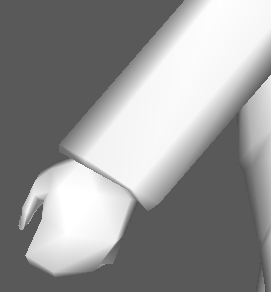 The number of pixels in that skin determines how good it can be used to be 'projected' on top of the 3D model. If you scale the shape it will scale the bitmap as well. So 1 pixel becomes 4 pixels (square). The more triangles this 3D model has the smoother the curves are. Hopefully this is a better answer?!? No that's further from what I meant. =p I'm not talking about the camera at all. I'm talking about where you make the game fill more of your monitor. Either under "Game Settings" or going into fullscreen mode. At the risk of still giving the wrong information I hereby post more screenshots. Not sure why ' out of full screen' will not give a good working game. Then I did a test-game on the same machine with the same Desktop Settings with also a 480x320 Display. I couldn't reproduce the going out of fullscreen issue.. So it has to do with something I do and/or use. At least you can see the full screen image and how it looks when it isn't full screen. Yeah it is an issue with Stencyl drawing text. Ok, so it does increase the resolution of the 3d objects. Thanks!!!!! Last week I was sick so I haven't done as much as I would like to have done. Currently I have some particle demonstrations done but I am debating if this particle system should have its own extension?!? supplies since some of it can't really be integrated into Stencyl. If everything depends on Away3D, then it makes more sense to me to roll it up into one large extension... but I could see a good argument either way. One large extension would eliminate potential dependency issues. It'd be nice to be able to separate extension blocks into our own palettes. Many of my own extensions have a large number of blocks. Palettes would make organization a lot easier. Particle effect looks really cool. I could see that being popular just on its own. I don't know how modular Away3D or your own code is. How do the byRobin extensions handle dependencies? I might be going for the two-extra-blocks. It could also be dependent on some other Library implementations. Maybe those would require similar blocks and I can use dropdown boxes to re-use the block. That would be a reason to definitely have it all-in-one. The particle system might be holding some more gems in the way the library could be used. So I also might want to add some extra demonstrations on that as well. It would be amazing to have 3d particles in 2d games! Great job! Is there anything in there for 3d water metaballs perhaps? @Squeeb: I might make some more water demos using the particle system and/or other blocks. This week I've worked on an archive of all Liberado's stencyl files. I've gotten permission to create this archive and to port (some of) them to 3D. When the time comes that the extension will be published this archive will be visible and the ported .stencyl files as well so you can see how to migrate from a 2D to a 3D version of your games. multiple events in them to replace the block. That is one of the problems with an active extension development. This probably will take me a few days to change, but I will revisit previous examples and maybe do some housecleaning while I'm there. This grinds down all the unnecessary things and hopefully ends up in a cleaner and easier to use block-system. Currently the extension has 12 blocks and I probably add at least 2 more for the particle system. I'd be interested in seeing how the 3D version of these games performs rendering-wise compared to the 2D versions. How many actors can you have in the scene before average FPS dips below 50?